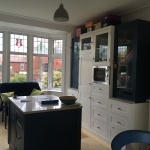 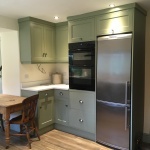 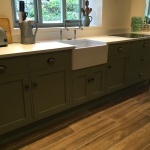 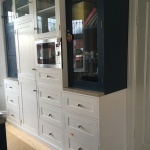 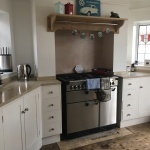 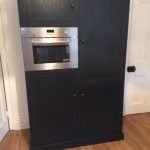 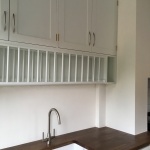 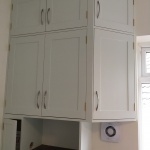 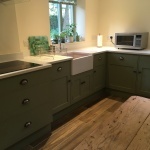 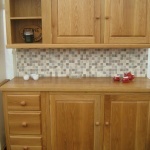 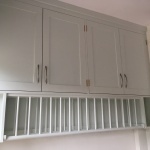 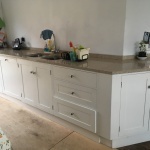 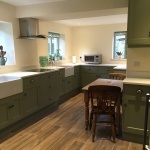 We make fully fitted bespoke kitchens in many woods including Pine, Oak and Beech. 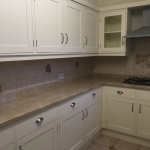 Our fitted kitchens are made to fit your own kitchen so no size or shape is a problem. 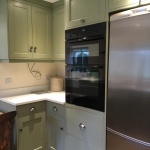 We work with you from start to finish to help design, plan and make your kitchen exactly how you want it. 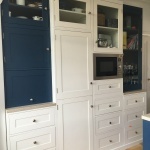 Because we make everything in our workshop you can leave behind the standard size units and optimize your space. 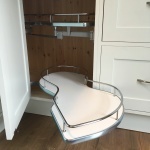 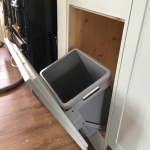 Every bit can be filled with units, cupboards or drawers so no space is wasted. 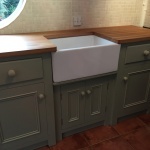 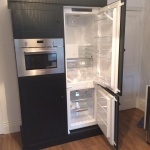 We work with freestanding or integrated appliances, Belfast sinks or stainless steel. 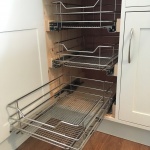 We can incorporate modern gadgets and appliances in our classically made kitchens including soft close pan drawers, soft close storage baskets, drop down bins, spice racks, corner shelves, carousels, the list is endless. 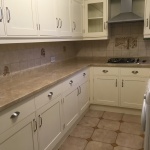 We then finish our kitchens anyway you like. 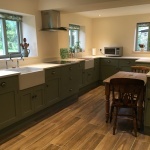 Our popular shaker style looks wonderful with our black walnut worktop or you can go for the traditional farmhouse for a warm, homely feel. 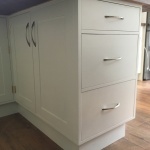 We can also adapt these designs to suit you. 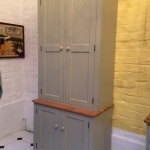 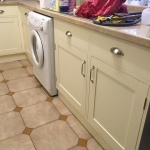 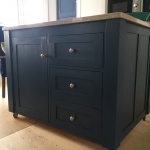 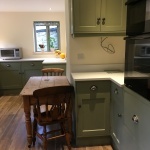 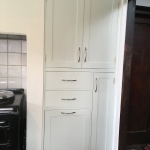 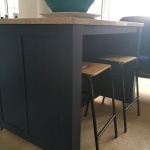 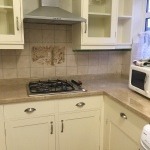 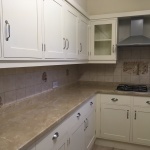 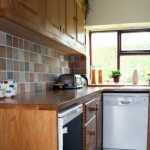 Our kitchens can be stained, waxed or painted. 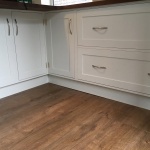 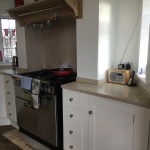 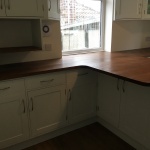 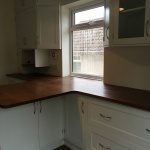 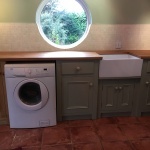 We also make and fit lovely wooden worktops. 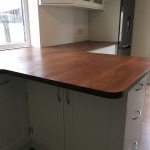 The most popular are oak, beech or black walnut. 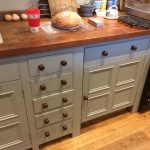 If you wanted to go for a different worktop that again is no problem. 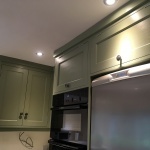 We can work with whatever you decide. 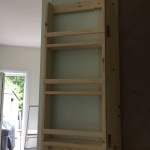 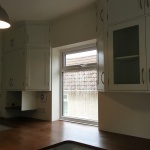 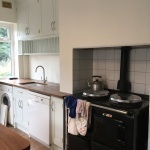 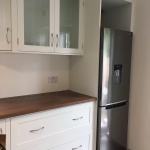 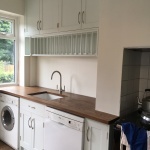 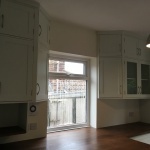 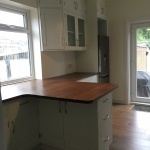 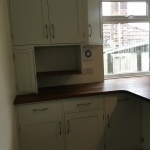 We have a close working relationship with a local electrician, plumber and plasterer so we can organise and time everything that may be needed once the project has started. 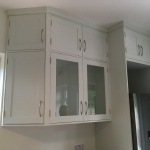 The whole project is worked with you, leaving you with a wonderful kitchen made and fitted exactly as you want. 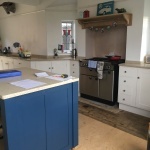 If you would like more information about our kitchens please drop us an email or call us and we would be happy to chat with you. 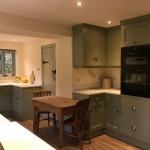 There is no cost for us to come out and discuss your kitchen and to give you a guide quote for your new, fantastic project.